A heartwarming human-interest story emerged from Avon, Indiana this week, where a Chick-fil-A decided to reward beloved a 92-year-old customer, who started visiting about a year ago. 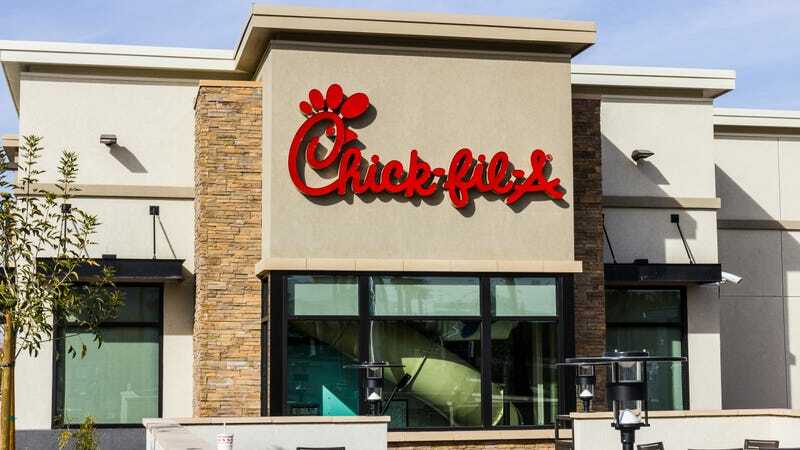 Referred to only as “Ernie” by Fox59 in Indianapolis, the news channel reports that this Chick-fil-A branch’s favorite customer visits every single day to get his chicken nugget kid’s meal with a root beer, often chatting with the staff. Ernie is a World War II vet, so for Veteran’s Day, the branch owner, a vet himself, decided to offer Ernie free Chick-fil-A for life. In the Fox59 video, Ernie at first tries to brush off the offer, but eventually accepts, even though he says he’s not sure why he deserves it. Now with a free meal ticket, he doesn’t even upgrade his order from his regular nugget-root beer lunch. Very nice gesture by this Chick-fil-A. In fact, shouldn’t this practice be widespread? For all vets have done for us, free nuggets seems like the very least we could offer. Hopefully, this branch’s generous gesture effort could become a widespread franchise trend. Whaddya say, Chick-fil-A?